It's just a little after 7am in the morning and already it's too damn hot. 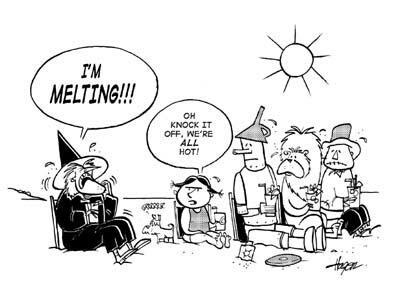 Yesterday was 29*C here in Toronto, along with humidity it made it feel in the mid 30's. This weather for me is hell! 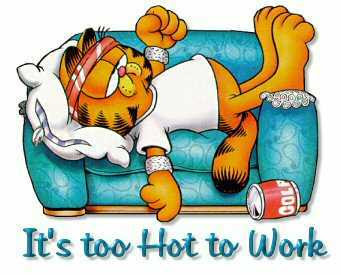 Today it will be the high of 31*C, with humidity at around 35*C - 39*C.
It's time to crank the AC and I will go relax! I will continue blogging once it's cooled down a bit... turned it off during the night since it was cool.